Colourful, stylish and incredibly comfortable, these Doris and Dude socks are a great introduction to the world of bamboo fibre. 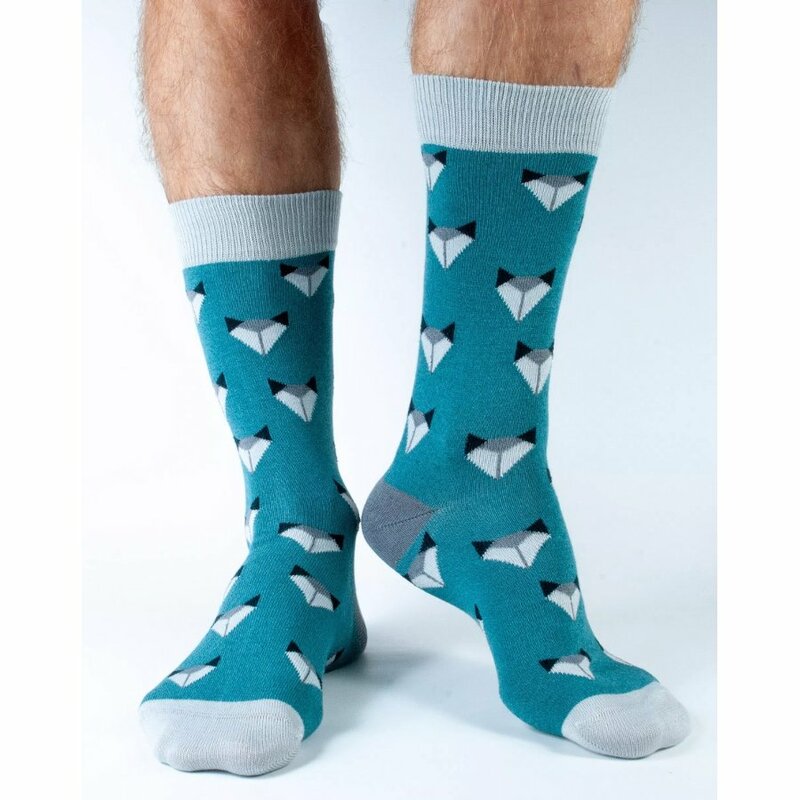 The bright teal colour is complemented by geometric style fox heads throughout, but where these socks truly stand out is in their feel. Bamboo fibre is luxuriously soft, but also possesses amazing anti-bacterial and anti-fungal properties. This helps to give the socks a breathable feel and keeps your feet feeling clean and fresh all day long. The Doris & Dude Men's Teal Fox Bamboo Socks product ethics are indicated below. To learn more about these product ethics and to see related products, follow the links below. 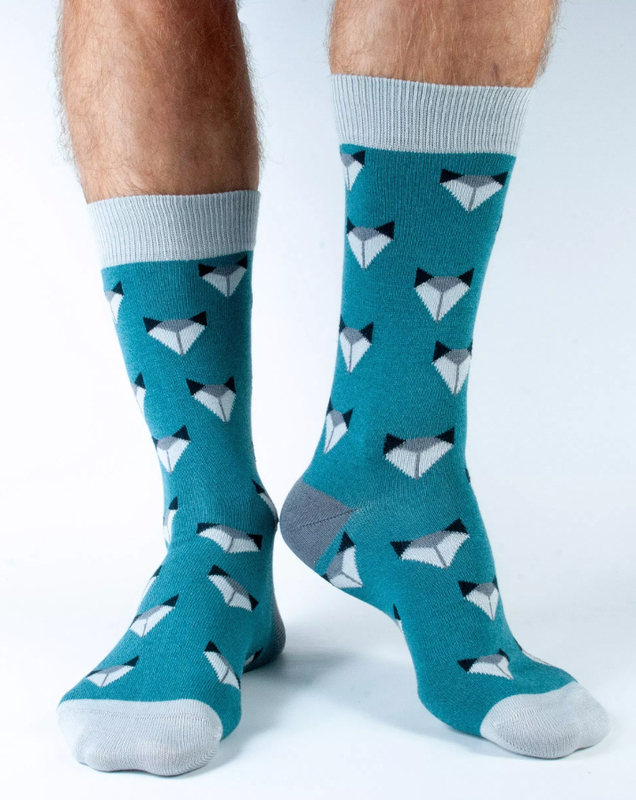 There are currently no questions to display about Doris & Dude Men's Teal Fox Bamboo Socks.